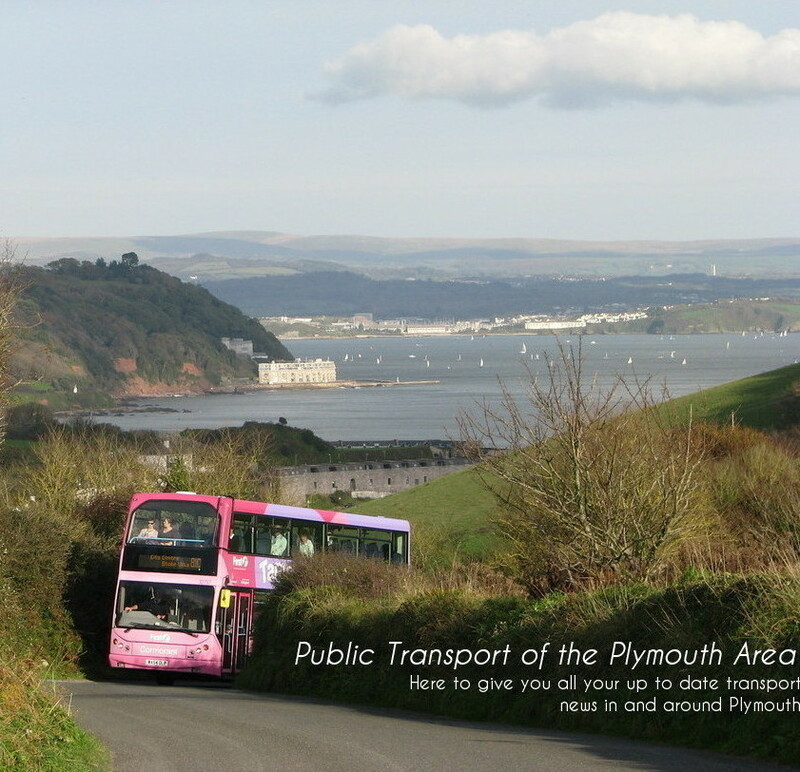 Public Transport Of The Plymouth Area: "No sorry I'm not going any further." "No sorry I'm not going any further." On Tuesday of last week a Dennis Trident had to be taken out of service because of damaged caused by the severe gales on last week. The bus believed to be 32756 was driving around Whitsand Bay with a Southerly direction force 8 gale blowing on her. Some passengers were upstairs holding the windows closed but this after a while was considered too dangerous so this was abandoned. The wind ripped off the front panel and the rear engine door also came off its hinges. The driver took the decision to call her un-road worthy. Therefore he rang up the depot and asked for another bus to be brought out. That being 34813 as the Leylands are thought to be the most stable as they are just as wide or wider but are not as tall so has a smaller surface area. The mechanic stayed out at the Trident and made her as road worthy as possible so could be driven back to the depot so that full work could be done to her. 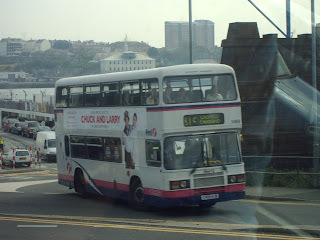 So after 23 years of service the Olympian still actually stands over the Trident if you want a bus that works in all weathers even better than a Vario or a Dart, that very rarely breaks down if maintained well, can carry most passengers and that people enjoy being on. Do we need a big yellow bus?